Analogue computers were in common use between 1950 and 1975; they made supersonic airplanes, missiles and nuclear reactors possible, calculated Dutch flood defenses and helped put man on the moon. Despite this, most current histories of computing hardly mention analogue computing or omit it altogether, and present a curiously linear account of progress. In his keynote, Joost Rekveld will link different strata of the history of analogue computing to past and future potentials in the audiovisual arts. The thinking of generations of scientists and engineers was informed by practices of electronic simulation, in which physical analogies were enlisted to make electronic models that mostly worked in real-time. Oscilloscopes and vector displays were an integral part of these simulators, and made the analogue computer the most important tool for interactive explorations until personal computers became ubiquitous in the eighties of the last century. Joost will discuss some of the direct links between these analogue simulators and the early history of audiovisual electronic instruments, and will argue that the analogue computer is the forgotten ancestor of the modular synthesizer in both audio and video. Joost Rekveld is an artist who is motivated by the question of what we can learn from a dialogue with machines. He explores the sensory consequences of systems of his own design, often inspired by forgotten corners in the history of science and technology. His films, installations and performances are composed documentaries of the worlds opened by these systems. In their sensuality they are an attempt to reach an intimate and embodied understanding of our technological world. 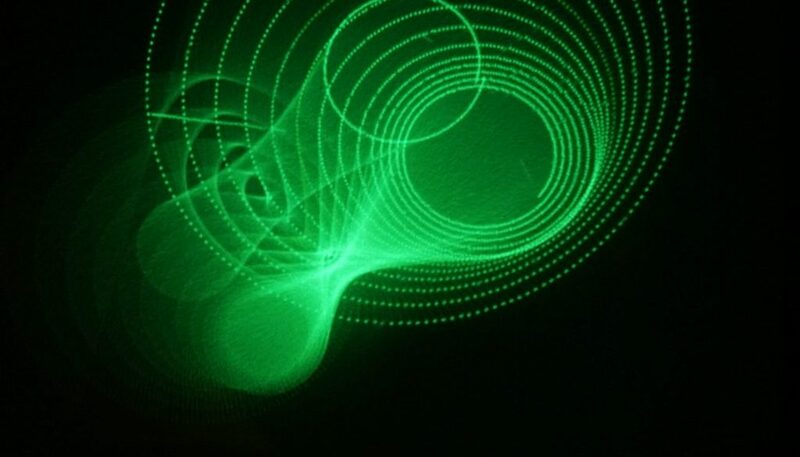 In his artist’s presentation, Joost will demonstrate his working methods by discussing the fairly recent strand in his work that relates to analog electronics and different varieties of vector displays. Joost Rekveld is motivated by the question of what we can learn from a dialogue with machines. In his films, installations and performances, he explores the sensory consequences of systems of his own design, often inspired by forgotten corners in the history of science and technology. His work is an attempt to reach an intimate and embodied understanding of our technological world. He has been giving lectures since 1993, has been teaching interdisciplinary art since 1996, and from 2008 to 2014 he was the course director of the ArtScience Interfaculty of the Royal Conservatoire and the Royal Academy of Art in The Hague. He currently an artistic researcher at the KASK School of Arts in Ghent.